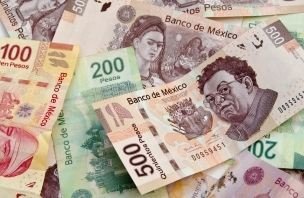 Mexico is the world’s 15th largest economy, according to the International Monetary Fund (IMF). World Bank analysts and Goldman Sachs predict that its economy could be the world’s 5th largest by 2050. 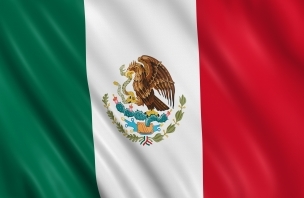 Mexico has a stable democracy and the country has considerable growth potential, with many advantages including a large, young workforce, a privileged geographical position for trade, and stable macroeconomic indicators. With a population of around 122 million, it is the largest Spanish-speaking country in the world and the second most-populous country in Latin America after Brazil. Mexico City, the capital and one of the largest cities in the world, lies in the centre of the country together with a number of other large cities in the Valley of Mexico, a temperate region between the hot, arid deserts in the northwest and wetter regions including rainforest in the southeast. Many large UK companies now operate in Mexico, including HSBC, GlaxoSmithKline, AstraZeneca, BAT and the InterContinental Hotels Group. British products have a significant presence in Mexico, although the UK’s market share in goods imports into Mexico has decreased overall in recent years. However, the latest data shows UK exports in services have been gaining importance. 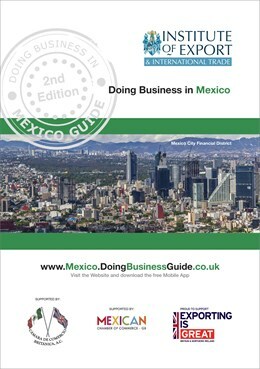 The main objective of this Doing Business in Mexico Guide is to provide you with basic knowledge about Mexico; an overview of its economy, business culture, potential opportunities and to identify the main issues associated with initial research, market entry, risk management and cultural and language issues. We do not pretend to provide all the answers in the guide, but novice exporters in particular will find it a useful starting point. 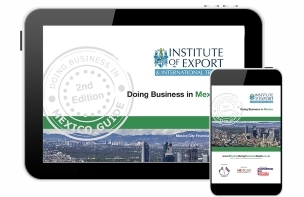 Further assistance is available from the Department for International Trade (DIT) team in Mexico. Full contact details are available in this guide. Established in 1935, the Institute of Export & International Trade is the professional membership body representing and supporting the interests of everyone involved in importing, exporting and international trade. Offering a unique range of individual and business membership benefits and a world renowned suite of qualifications and training, the Institute is the leading authority in best practice and competence for businesses trading globally. To view other videos, please visit the IOE&IT YouTube Channel. 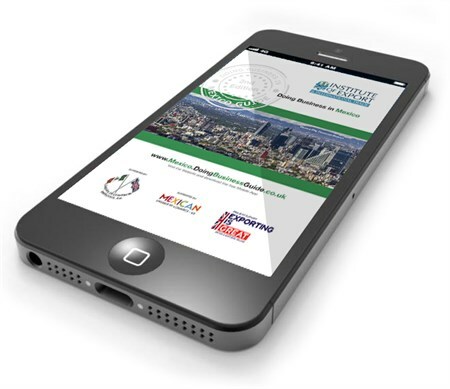 Doing Business in Mexico Guide Market Experts - Please click on the logos below to view our Market Expert profiles and to find out how they can help you to succeed in Mexico!